The National Australia Bank has cleared the way for each of Australia’s big four banks to withhold a large chunk of the Reserve Bank’s 0.50 point rate cut delivered Tuesday. NAB announced late yesterday it would cut its variable mortgage and business rates 0.32 points instead of 0.50, giving customers who have borrowed $300,000 a saving of $62 per month instead of $96. In contrast NAB depositors will be hit with the full Reserve Bank cut of 0.50 points, suffering a slide in their earnings from 4.15 per cent to 3.65 per cent. NAB did not make the extent of the slide clear in its announcement, saying only that its deposit rate would “change to 3.65 per cent”. Treasurer Wayne Swan labelled the move “an insult to hardworking Australians”. 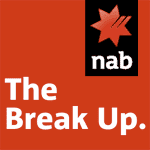 Another analyst, who asked not to be named, said the move was departure for NAB which on Valentine’s Day 2011 purported to “break up” with the other banks and offer lower rates and fees. "It could be NAB claiming to be one thing and now doing something different - grabbing margin because they’re under pressure," he said, noting the bank’s profits were under the more pressure than the other banks at the end of last year. A separate Australia Institute analysis found that each day the big four delay passing on the Reserve Bank’s cut made them $12 million. “While the ANZ has been complaining that their cost of borrowing has been increasing, the consolidated financial report areleased Wednesday shows their interest expenses are down two per cent,” said senior research fellow David Richardson. “Where are the costs pressures the ANZ is facing if they can’t be found in their financial accounts? The banks have set a pattern, always complaining about cost pressures only to publish results that show the cost of funds has been low and falling,” he said. ANZ yesterday reported a first-half underlying profit of just under $3 billion. Its chief executive Mike Smith said he was prepared to make "tough decisions" in order to restore lending margins which had been eroded by higher funding costs. ANZ will announce its decision Friday week. Neither Westpac nor the Commonwealth Bank have indicated when they will move. Westpac will report its half-year profit today and NAB will report next week. Mr Swan said his reforms had made it easier than ever for disgruntled customers to “walk down the road and get a better deal”. “By the end of the year around 1 million Australians will have a home loan completely free of exit fees because the Government banned them, a move opposed by Mr Hockey and the Liberals,” he said. Coalition Treasury spokesman Joe Hockey has called on each the banks to either pass on in full the Reserve Bank’s 0.50 point rate cut or explain very clearly why not. He was unavailable for comment last night. Sigh. Once upon a Valentines Day..
"The reduction will save NAB customers $80 per month in interest, on the average $300,000 home loan." The average $300,000 home loan is interest-only? ?? Crap. The average $300,000 home loan is interest-plus-principal, and NAB must know it. In which case the saving would be around $62 per month (if the loan term was 25 years). NAB's announcement is a disgrace. It is indeed like the other banks.
. Private banks are infuriating the RBA. Why it went big.